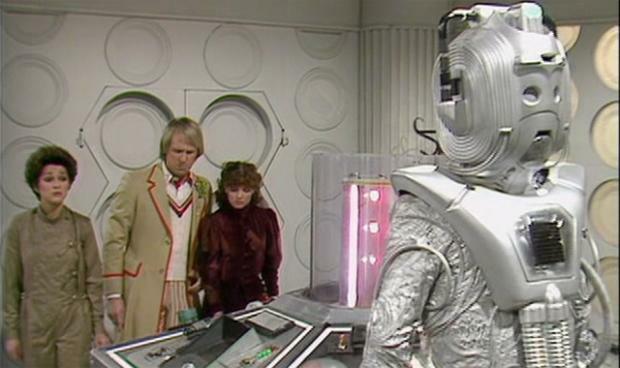 It’s just under 20 minutes before the TARDIS crew collides with the main plot in 1982’s Earthshock, which (spoilers) featured the return of the Cybermen and the death of companion, Adric. Was this an indication of script editor and Earthshock writer, Eric Saward’s famous antipathy towards the Doctor or simply because the series had become a bit ‘flat-share’ with more TARDIS scenes featuring the regulars bickering and emoting? No matter. I remember enjoying Earthshock a lot when it was first broadcast. For me, it was, and remains, an exciting piece of television. The Doctor had fallen into the world of Aliens (four years before Aliens) and I was a very happy bunny. 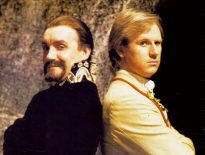 It was an action-movie-style moment for Doctor Who that, despite its BBC budget, managed to impress due to some good performances and solid direction. Not everyone shares my positive opinion of the story, however. I’ve read more than one critique that is centred around its apparent militarism, for example. Is this fair though? I’m not entirely convinced it is. Earthshock certainly contains a lot of violence and a lot of soldiers, but this doesn’t immediately mean it’s militaristic. Oh! What A Lovely War and the film version of Starship Troopers are also stuffed with soldiers but both of those are critical about the use of the military. The first focusses on a specific conflict, while the latter is a more free-ranging critique. I wouldn’t go as far as to say that Earthshock is as critical of militarism and violence as Oh! What A Lovely War and Starship Troopers are. However, I do think this story is more ambivalent about those things than it’s sometimes given credit for. 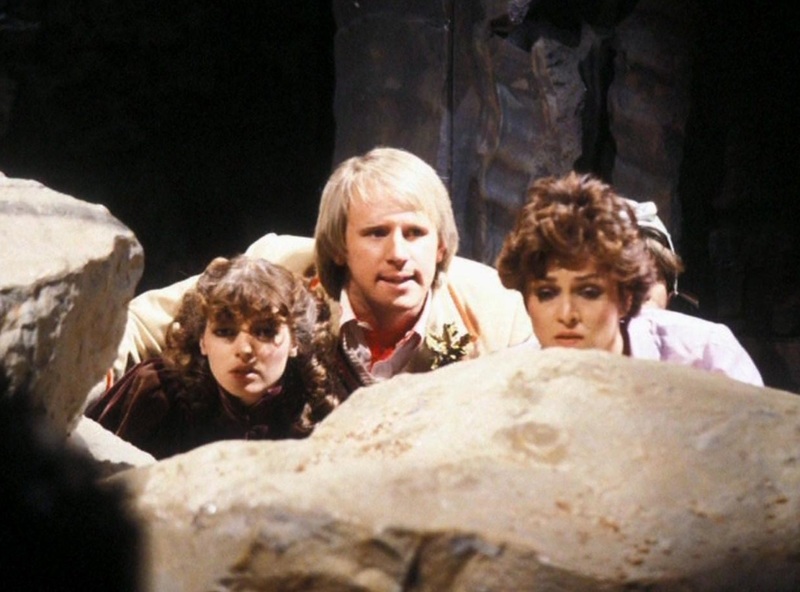 In Earthshock, Lieutenant Scott and his squad venture into a cave system with Professor Kyle to find out what has happened to four of Kyle’s archaeological team, who have mysteriously disappeared. 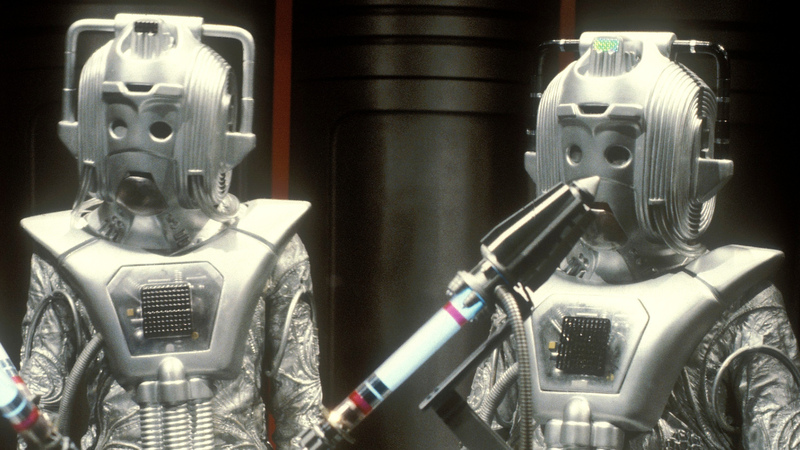 We also have the Cyberman in the mix, who spend the first two episodes in hiding before suddenly stomping around in plain sight and shooting everything they can when the story’s focus shifts to a space freighter. Doctor Who has always had a somewhat ambivalent relationship with violence. It’s famously been condemnatory with the Doctor presented as, while not being a pacifist, someone who resorts to violence only as a last resort. On the other hand, while Doctor Who is great at tackling big issues and ideas, it is also an action-adventure show and the representation of violence is one of the tactics it uses to entertain. Indeed, it has got into trouble on occasion for excessive violence, drawing complaints from viewers and the media. Potentially, we have a paradox here. Doctor Who is a show in which the main character has railed against violence and the military on numerous occasions but has also spent sizable chunks of his life in co-operation with outfits such as UNIT. 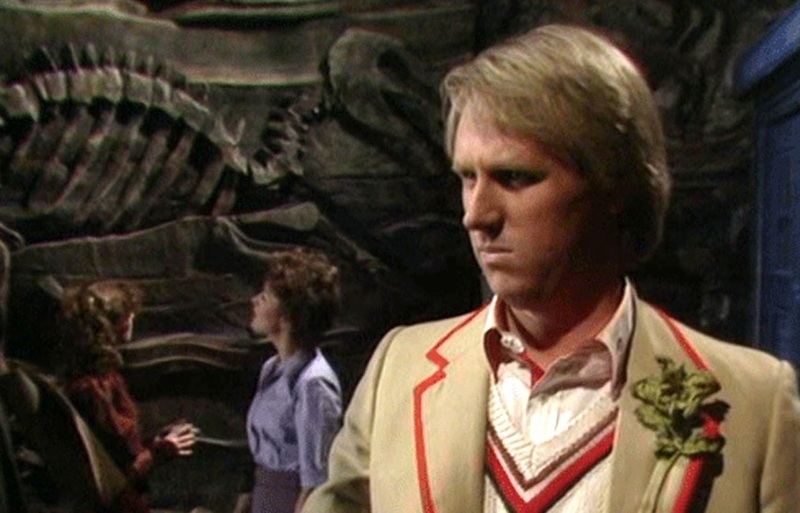 The thing is, Earthshock clearly illustrates to us why this apparent paradox isn’t a paradox at all and so, far from being a paean to militarism and violence, gets to the core of the Doctor’s dilemma and beautifully illuminates the most fundamental aspect of his character. The Doctor interferes and always tries to do the right thing. He cannot walk away and leave a wrong un-righted, even when finding himself in a story to which he is clearly unsuited and in a situation that seems intractable. That’s why when he stumbles unwittingly into Aliens, he must stick around and at least try to help even though his approach is unsuited to the film’s narrative. Earthshock’s approach to militarism is, in fact, a sophisticated one. The Doctor, the human soldiers, and the Cybermen all typify a different perspective on this issue. The Doctor sees violence and therefore military action as a last resort. This makes him a reactive character; in Earthshock, he is often a creature of compromise who is trying to do the best he can in an almost impossible situation. The oft-criticised scene in which the Doctor grinds Adric’s gold star into the Cyber-Leader’s chest comes only when he has completely run out of other choices. That last desperate moment of violence surely typifies the Doctor’s attitude to the use of force; that he will only use it when all other avenues have been explored and exhausted. He’s in a corner, the Cybermen have breached the TARDIS and he has no option but to fight back. The soldiers, meanwhile, are less ambivalent about the use of force. They also use violence in a reactive way, but will not go to the lengths the Doctor does to avoid it. For them, violence is a necessary tool of their trade, although Lieutenant Scott does come across as a little bloodthirsty on occasion (a facet of his character rather than his occupation as a soldier, perhaps?). The Cybermen, meanwhile, showcase the militaristic impulse at its worst. They use violence to destroy or subjugate other species and practise an exclusive ideology (preaching about the futility of emotions). Their militarism is portrayed as a wholly negative thing, entirely without justification. The humans and the Doctor are responding to threats and their actions are motivated by a desire to protect themselves and others. The Cybermen are motivated only by their thirst for conquest in the form of absolute uniformity. They dream (do Cybermen dream?) of a universe filled exclusively with mechanical hearts that tick rather than beat.